"We need more teeth!" Rexy made her return to the big screen in Jurassic World, only this time she was kind of the good guy. Well, at least she was willing to battle the Indominus Rex. (And yes, she was the same T-Rex from the original!! Check out the scars!) If your child has a tendency to follow flares and is willing to take on genetically engineered alpha predators, maybe they'd like to get supersized for an all-out dino throw down! 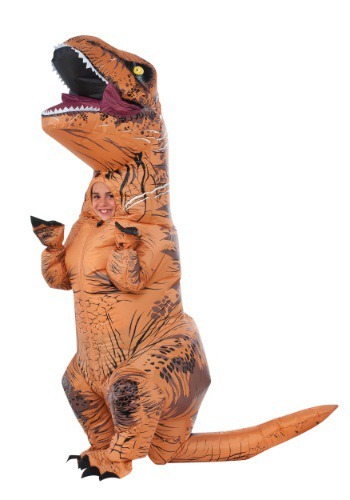 Outfit them with this Child Inflatable Jurassic World T-Rex costume. It's the perfect way to get them into the Jurassic World action!